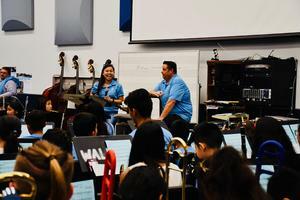 Walnut High advanced band members mentor, perform with 100-5th graders. 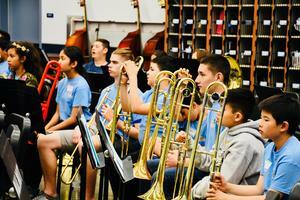 One-hundred 5thgrade students from C.J. 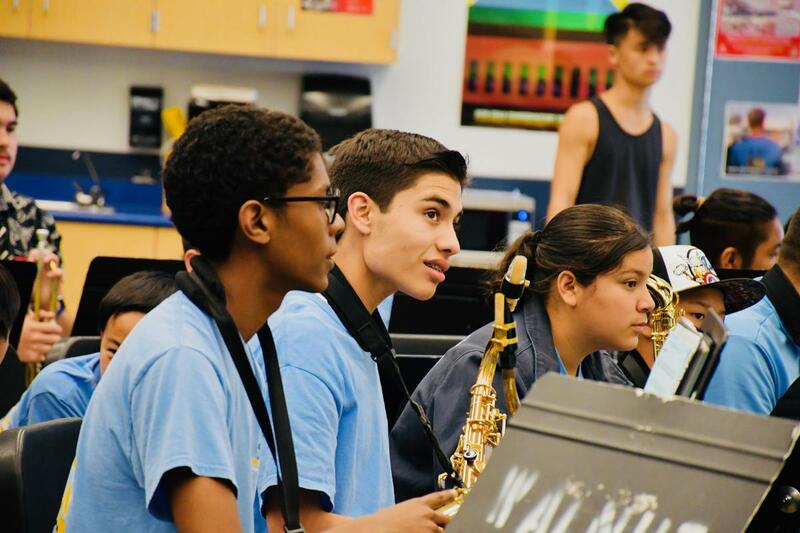 Morris, Collegewood, Vejar, Walnut, and Westhoff will take the stage on April 10 during a concert with advanced Walnut High musicians. 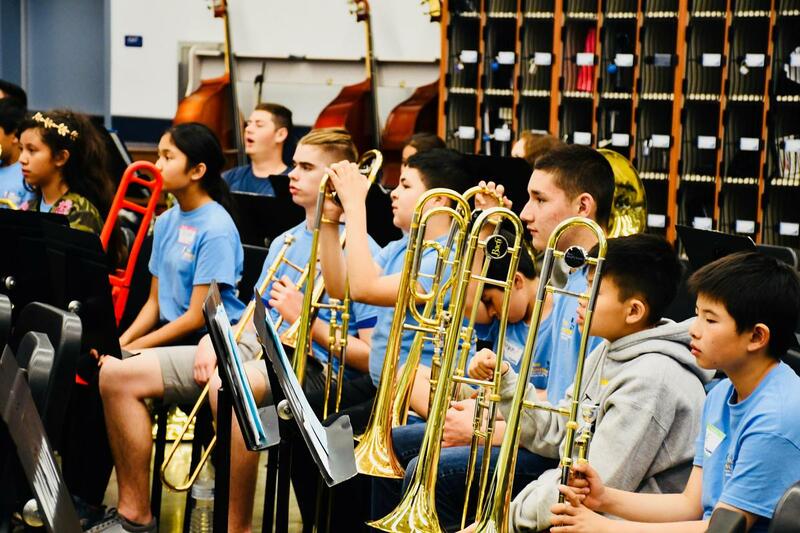 Band Buddies club members, comprised of 80 Intermediate, Jazz, and Advanced Band students, have been sitting side-by-side teaching the fundamentals of performing to the young musicians during three Tuesday afternoon rehearsals in April. 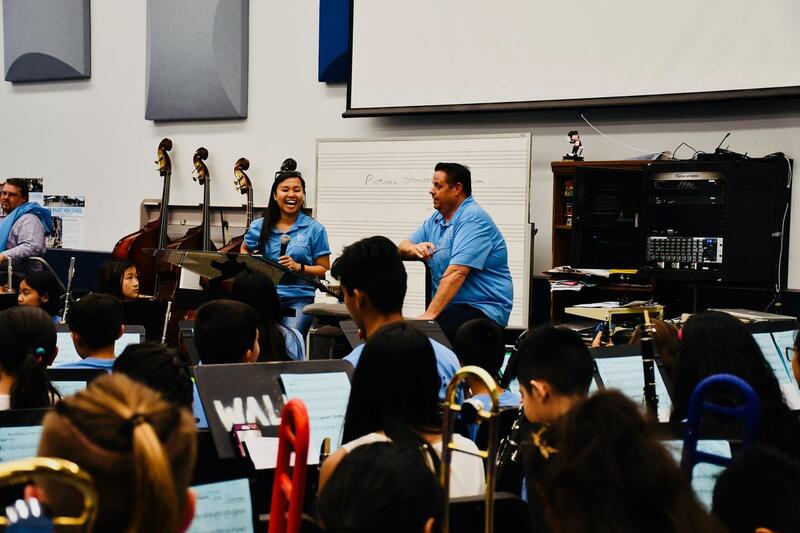 Now in its 9th year, directors Corey Wicks and Katie Takahashi lead the free outreach program that provides support to the aspiring young musicians. 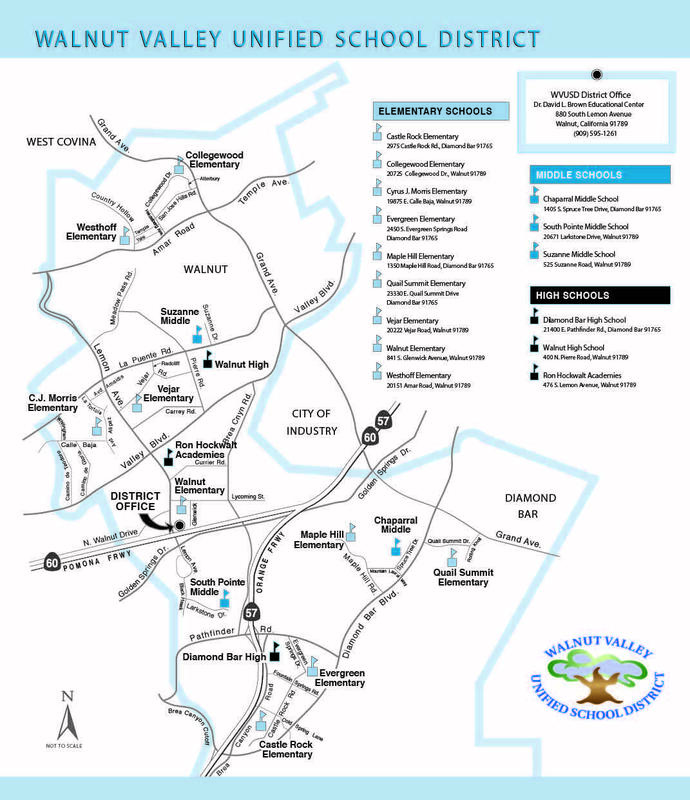 Tickets for the 7 p.m. 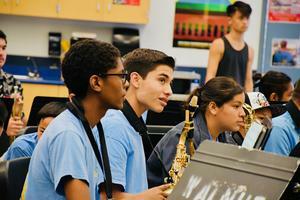 Band Buddies concert in the Performing Arts Center are available at https://bit.ly/2uUYjKh.